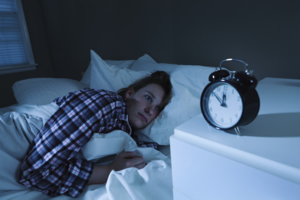 Most of us have experienced trouble sleeping at one time or another. This is normal and usually temporary, due to stress or other outside factors. But if sleep problems are a regular occurrence and interfere with your daily life, you may be suffering from a sleep disorder. A lack of quality sleep can negatively impact physical health and emotional well-being, with tiredness affecting energy and mood and our ability to handle stress and function effectively. For example, the Department of Transport estimates that one in five traffic accidents are as a result of excessive sleepiness. If you or someone close to you is regularly having problems sleeping or you would like further information about this issue, then The Community Programme can put you in touch with those organisations and services specialising in this area and help you to find the facts and information to enable you to gain a better understanding of sleeping disorders. This includes learning about the symptoms and treatments of common sleep disorders, such as insomnia, snoring and sleep apnea, restless legs syndrome and narcolepsy, as well as problems affecting sleep patterns, such as jet lag, shift work and delayed sleep phase disorder and much more. The Community Programme provides contact details for local support groups, where you can meet with and share experiences with others similarly affected.